Have You Ever Had Your Furniture’s Upholstery Cleaned? Have You Ever Had Your Upholstery Cleaned? 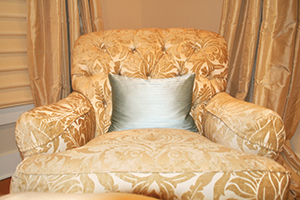 Have You Ever Had Your Home’s Upholstery Cleaned? Have you ever been asked by your cleaner? The next time you need your carpets cleaned, get your upholstery cleaned, too! Upholstery suffers from the same woes as do carpets. The main difference is that carpets get stepped on more. (If you have small children or pets, this may not be the case!) Furniture upholstery gets wiped on with greasy fingers, collects dust and dust mites, and seems to be a magnet for pet hair. People with long hair tend to leave behind gifts for upholstery, too! During flu season, upholstery can get sneezed on or—more likely—contagious fingers can leave behind bugs you don’t want. During summer months—especially in humid areas like Charlotte, NC—sweaty backs can stain upholstery. Not a pretty sight, but it does happen. With all these reasons for cleaning your home’s upholstery, have you ever had it cleaned? Has any cleaner you have had over even asked if you would like it cleaned? Not all carpet cleaners offer upholstery cleaning. The cheap, fly-by-night services who over-saturate carpeting won’t touch upholstery. Of course, if they over-wet your carpets, do you really want them doing the same to your upholstery? While it’s inconvenient enough not being able to step on carpets, it’s worse not being able to sit down for hours, too! Other companies might offer upholstery cleaning. But how many times have they offered it to you? And if they did, was it as an up-sell tactic? And once they got you to agree to that, did they try to pressure you to purchase even more services? Perhaps services you didn’t want or need? Cline Services comes to clean, not sell. Nor does Cline Services try to up-sell you with services you don’t need. However, if you would like a complete cleaning package, Chip can offer you a great deal on getting your carpets cleaned, your furniture’s upholstery cleaned and even your mattresses cleaned! Go ahead, get all that dust, hair and dirt out of your home! Your home will look, feel and smell great. Your carpets and furniture will last longer. You’ll feel better, too. It may even be beneficial to your health—and the health of your family and pets—due to ridding your home of indoor pollutants. So go ahead, contact Chip of Cline Services today and get the complete deal! Cline Services comes to clean, not sell. Offering only the carpet cleaning methods preferred by every U. S. carpet manufacturer, Cline Services will get your job done right every time! Chip is the best! Chip has been cleaning our carpet and upholstered furniture for over 20 years. He does such a good job that we would not consider anyone else. He is always prompt, courteous, and has to put up with our overly-friendly pets. The products he uses get out stains very well and allow the carpet to dry fast. The cost is always reasonable and best of all our carpets look great! Copyright © 2019 Cline Services, LLC Commercial and Residential Carpet Cleaning. All rights reserved. This site was built using a custom child theme of Pro Framework.